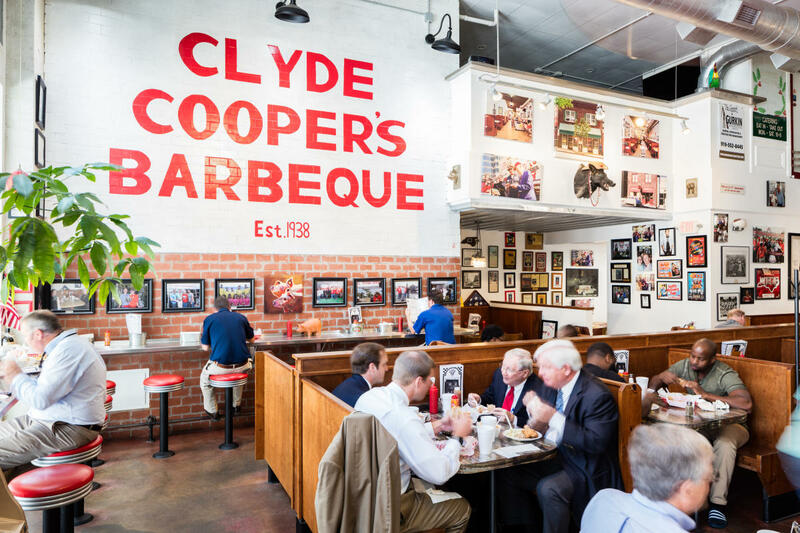 Clyde Cooper's BBQ in Raleigh, N.C. 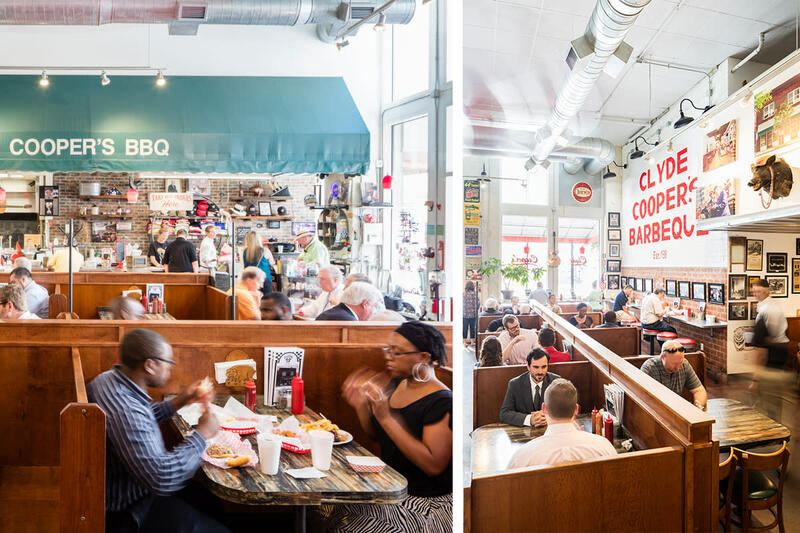 If barbecue is a tradition in North Carolina (it is), then Clyde Cooper’s is an institution. Opened on New Years Day 1938, it’s one of the longest-running barbecue restaurants in the state, and here in Raleigh, it’s beloved. Walk in the door and you know why right away. First, the smell of smoke and pork on the air gives it the feel of a barbecue place. A stainless steel counter gives diners a view into the pit where finished shoulders come out like clockwork. Booths and tables lend a little privacy to larger parties, but still the room is filled with chatter and music. 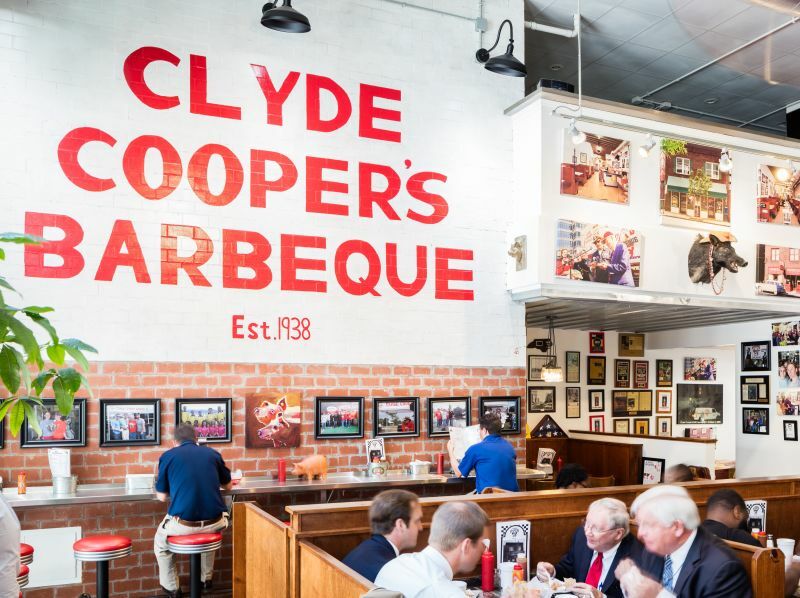 On the walls, historic photos of Clyde Cooper’s catering jobs from the 1950s and ‘60s, accolades and awards and a mural on one wall that reads “Clyde Cooper’s Barbeque Est. 1938” (in case you’ve forgotten). 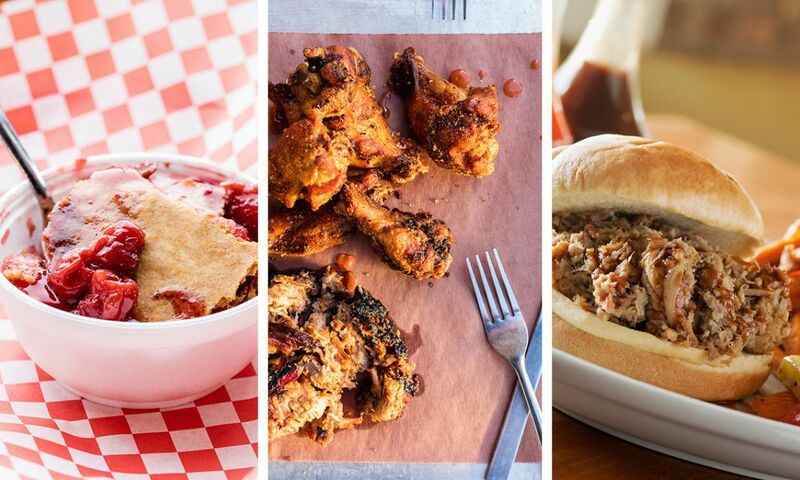 The menu shows off the true attitude of barbecue—it’s accessible and there’s something for everyone. When Clyde Cooper opened the place, he believed it, and by serving African-American and white customers side by side, he practiced it. The place still has that inclusive feeling today and the menu reflects that. Chopped and sliced barbecue. 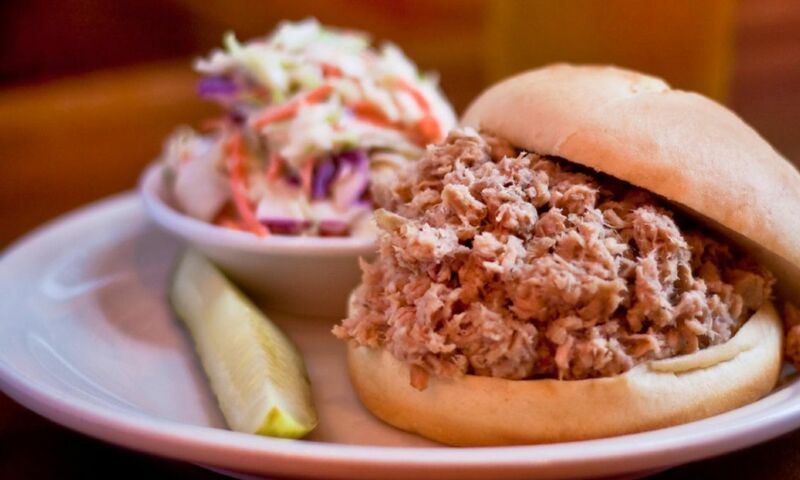 Barbecue sandwiches. Fried chicken. Brisket. Ribs. Combo platters that would feed a car full of hungry people. Potato salad and collards and cole slaw. Everything served with a few hush puppies and some crispy pork skins. 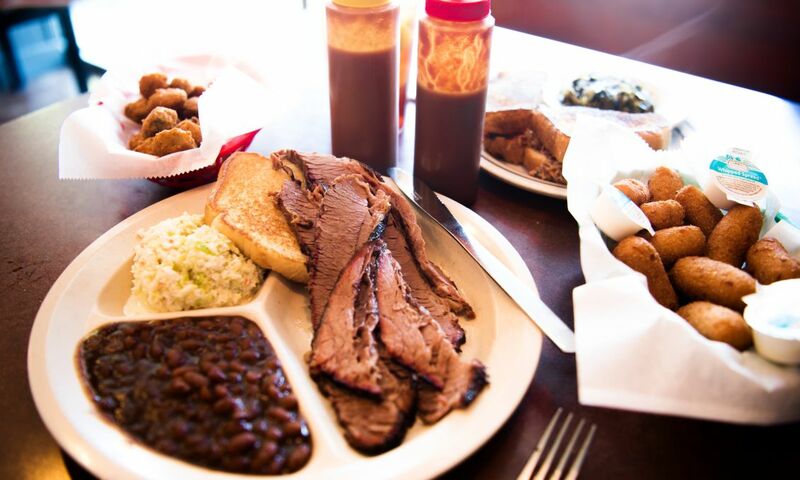 You can’t go wrong with a plate of chopped barbecue and fried chicken with some collards on the side. Save room for banana pudding, of course, and wash it down with a little sweet tea. Or go simple and get a sandwich—the special’s only $8.50, though nothing here will break the bank as you’ll get a full meal for $5 to $12.75. 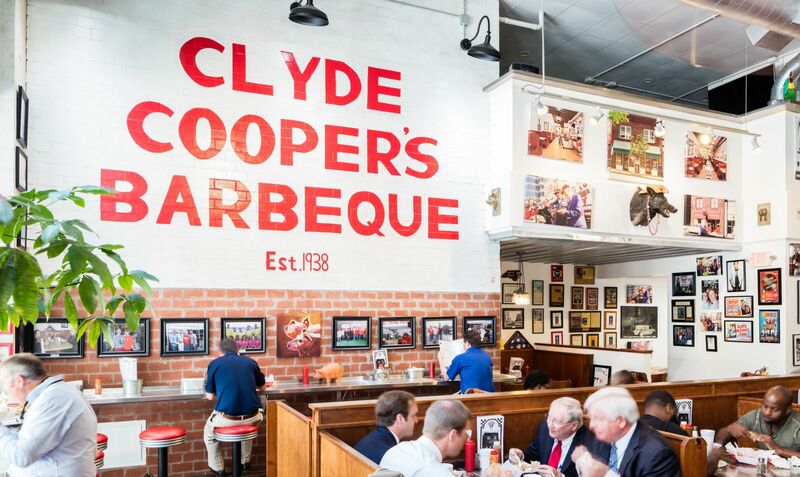 Look on the wall over the kitchen, and you’ll see the restaurant’s namesake—Clyde Cooper himself. 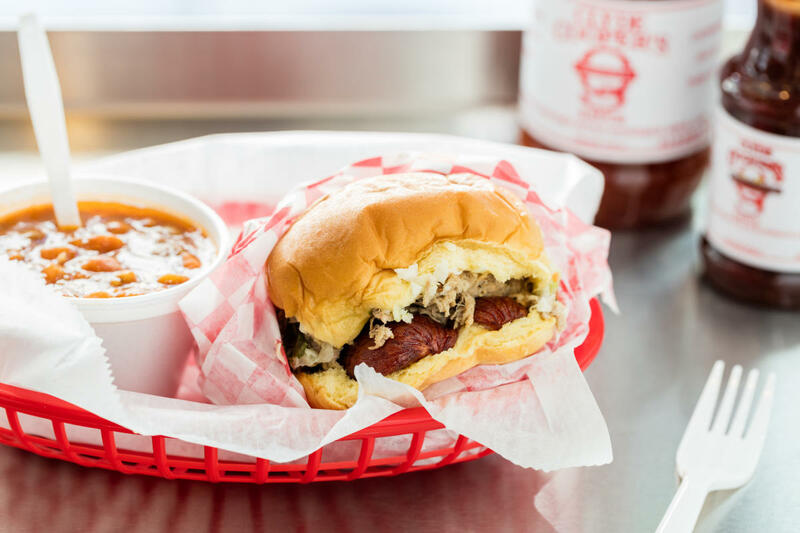 Clyde always cooked shoulders in the Lexington style, but his ‘cue blends Lexington with Eastern as the sauce—still based on his original recipe—tastes more tangy than sweet. Today, like every day of the 50 years he owned the place, Clyde Cooper’s is cash only. So come hungry, but come with a little folding money. 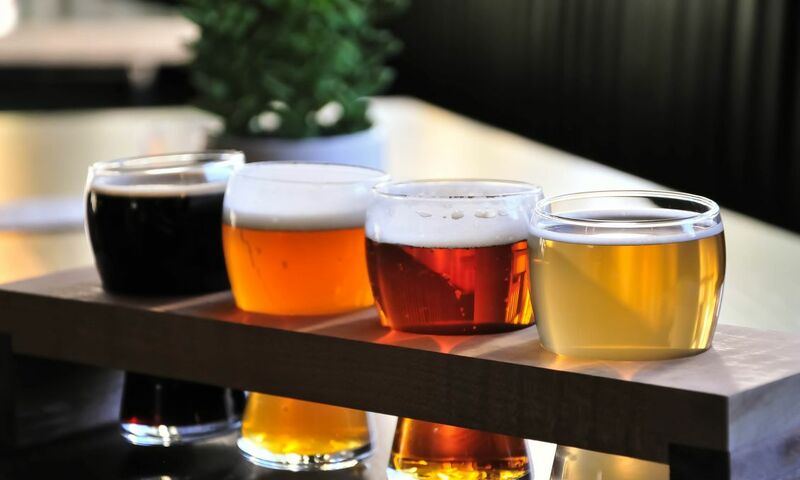 Your guide to 'cue in Raleigh, N.C.
See the full list of Raleigh area BBQ spots here—nearly 30!